The first foal out of our imported mare Diva Primero, a lovely bay filly by Dream Boy, she is bay with 2 white sox at the back and white on her face. This filly is being retained by the stud. 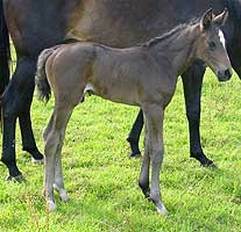 Gratiola produced an attractively marked bay colt in October 2003 by Gymnastik Star. 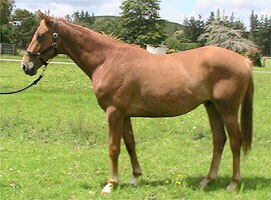 Full brother to "Gluck Star" who is competing well in dressage. 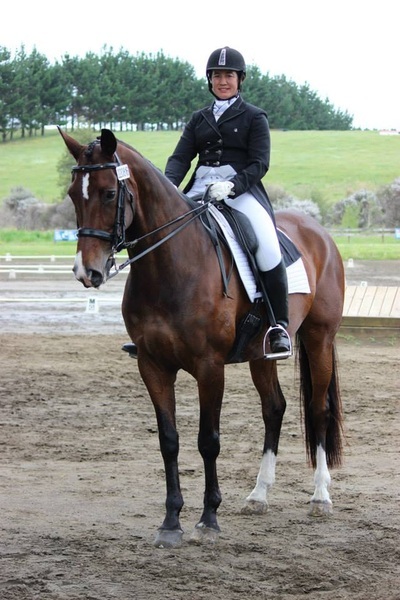 As a 5 year old, Guisto MH has been crowned NZ Young Dressage Horse Champion for 2009! 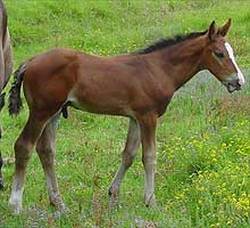 A very attractive bay colt by Gymnastik Star out of Adelheid with white blaze and hind sock. 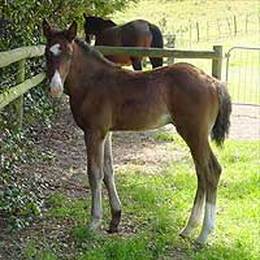 Stunning liver chestnut colt with white markings by Wolkentanz II out of Greta Garbo. 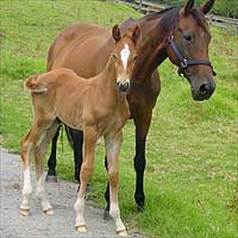 This is her second foal, both super types. 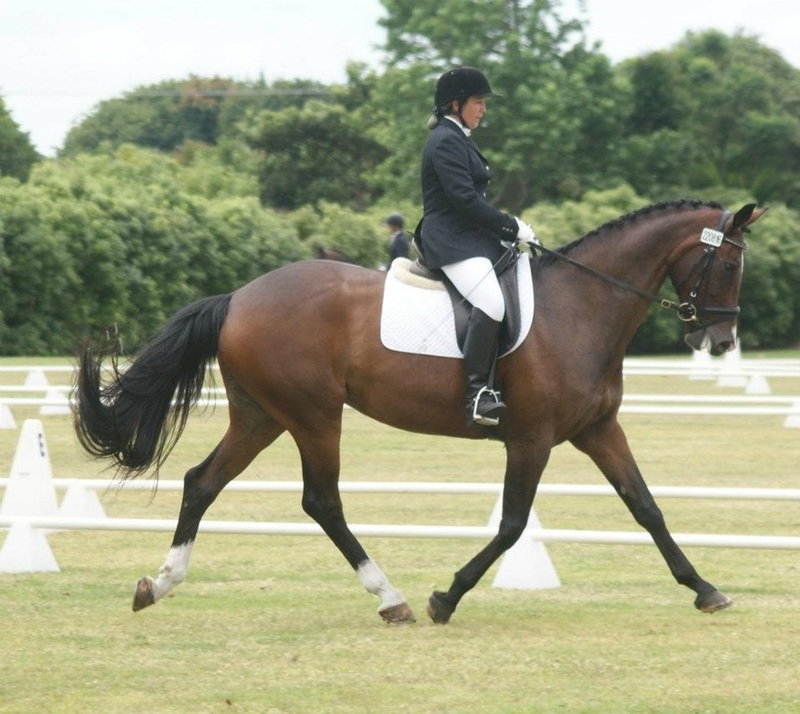 A lovely gelding by De Niro out of Witzfleur, born in December. He is black with white markings, currently working very nicely under saddle. 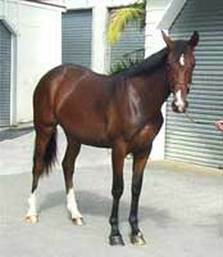 A full brother to "De Ninya". Striking chestnut colt with four white socks and big star, by De Niro out of Grand Gift (by Genius). 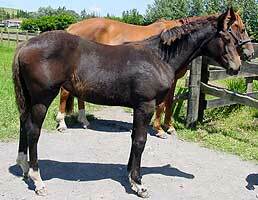 Astral by Anamour out of imported mare Widia (by Winterkoenig) born in October. This filly has great movement. Attractive brown/black with 3 white sox.